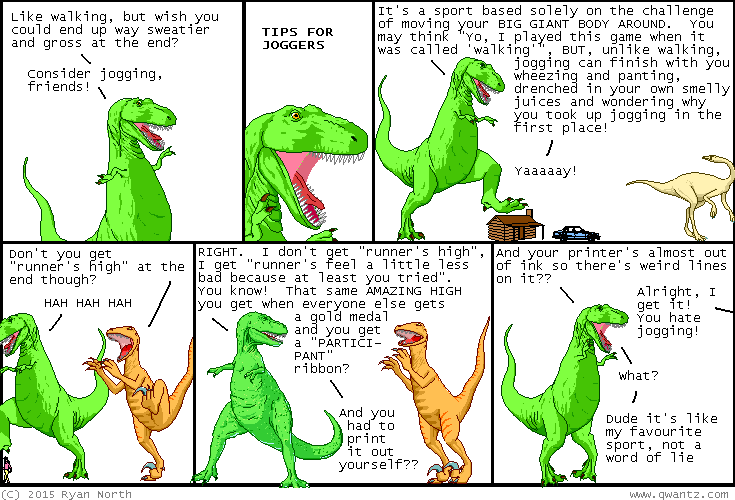 Dinosaur Comics - March 24th, 2015 - awesome fun times! March 24th, 2015: My book To Be or Not to Be is now available as a game on iOS and Android! One year ago today: when i wrote this comic earlier i didn't have a burn on my hand, but now i messed up making dinner and have a burn on my hand! bodies! what even is their deal, i might ask? ?